Scott Kirsner, Innovation Economy Columnist for the Boston Globe on How To Moderate a Panel Like a Pro. Please review the conference and track topics below and submit your speaking proposal. Businesses and organizations of all kinds are struggling to keep up with the dramatic changes and challenges caused by current and near-term future potential of digital technologies. These challenges are enterprise-wide because everybody from customers to employees to partners expects an integrated and compelling digital experience that just works. Accomplishing an engaging digital experience requires creating and managing compelling content, but also includes measuring how effective the content is, building interfaces that are consistent yet appropriate for multiple mobile channels, and integrating with e-commerce and enterprise systems. None of this should be news, but putting all the technologies and practices together is still largely uncharted or experimental territory for enterprises. Well-informed decisions on digital experience strategies require proactive dialog with experienced peers and industry experts. 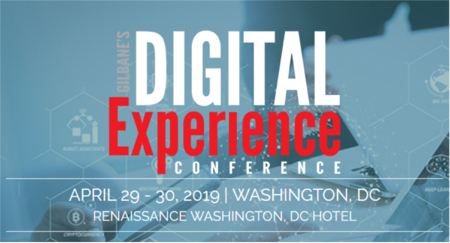 At Gilbane conferences we bring together industry experts, content managers, marketers, marketing technologists, technology and executive strategists to share experiences and debate what the most effective approaches and technologies are, and how to implement them. Our theme this year is Manage – Measure – Mobilize, and we have tracks focused on the customer digital experience, employee digital experience, future technologies for digital experiences, and a track on digital strategies for publishers and information providers where we expand our theme to include Monetize. Designed for marketers, marketing technologists, growth hackers, content managers, strategists and technologists focused on customers and digital marketing. Designed for content, information, technical, and business managers focused on enterprise social, collaboration, intranet, portal, knowledge, and backend content applications. Designed for technology strategists, IT, and executives focused on the future of content and either internal or external digital experiences. Designed for publishing and information product managers, marketers, technologists, and business or channel managers focused on the transition to digital products. One week till Gilbane Boston speaking proposals deadline! Every year we get a last minute rush of speaking proposals for Gilbane Boston, and then… we get tons of emails asking when the deadline is, and then… we get requests for an extra day or two, and then… well, you get the picture. You’ve got a week, but why wait till the weekend!? The deadline for submitting proposals for Gilbane Boston, November 27 – 29, 2007 is May 15, 2007. Instruction for proposals are at: https://gilbane.com/speaker_guidelines.html We will still accept proposals after tomorrow, but chances of acceptance start to diminish quickly as we start designing the program in the next couple of weeks. Remember that we always receive many more excellent proposals than we can fit into our program. Please do not be discouraged if you are not selected. We do multiple events, and may be able to fit your presentation into another conference.